Wow, even better the second time through! So much happens in this story that it's easy to miss many of the details in the first read. This time I saw the story unfold from a very different perspective as I knew what was ahead of them. It made me really appreciate the talented Suzanne Collins. She created an amazing futuristic dystopian world, then showed it to us from the point-of-view of a seemingly insignificant young lady named Katniss. (Who turns out to be anything but insignificant). If you haven't read it, don't write it off simply because it's classified as a young adult read, or worse because its being compared to the teen favorites Twilight and Harry Potter. I hate those comparisons, and in this case they are completely off the mark. I personally don't consider it a young adult book even though many of the lead characters are all teens. 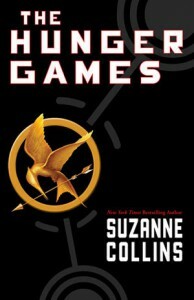 Despite the YA classification, The Hunger Games addresses some very adult topics and is for mature minded people. It has a darker tone that will pull on all of your human emotions. It has a lot of action and violence, but not in a gratuitous way. It will make you think about the value of a human life, and how even great triumphs can be bitter sweet and come with a devastating cost. Now I have to go re-read the final two in this book. Even though I know how it all ends, it feels like a fresh new read the second time around as I can see all of those clues more clearly, understand the strategies a bit better, and visualize the world with more depth. I loved this one, and I sure hope the movie does it justice.